I have said it a million times. The Phi and Lou are so different. The Phi has always been so calm and laid back. No joke I think she has thrown 2 tantrums her whole life. Louie on the other hand is our pay-back. She is the stereotypical toddler, compete with melt-downs and lots and lots of crying. Some of the things she cries over are simply ridiculous. If she asks for milk and you hand it to her and she doesn't like the blue cup....cue the water works. 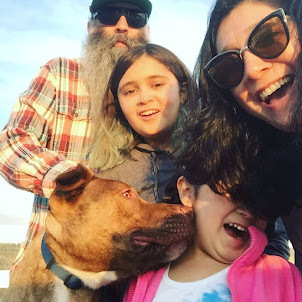 As a way to laugh at it (because if I don't try to laugh I will cry and pull out my hair), and to document all the ridiculiousness (and to show her when she has her own kids!) I started my own little photo series. One day while Louie was crying over the grass not being green enough, or something equally crazy, my sister Elaine said "awww toddler problems". 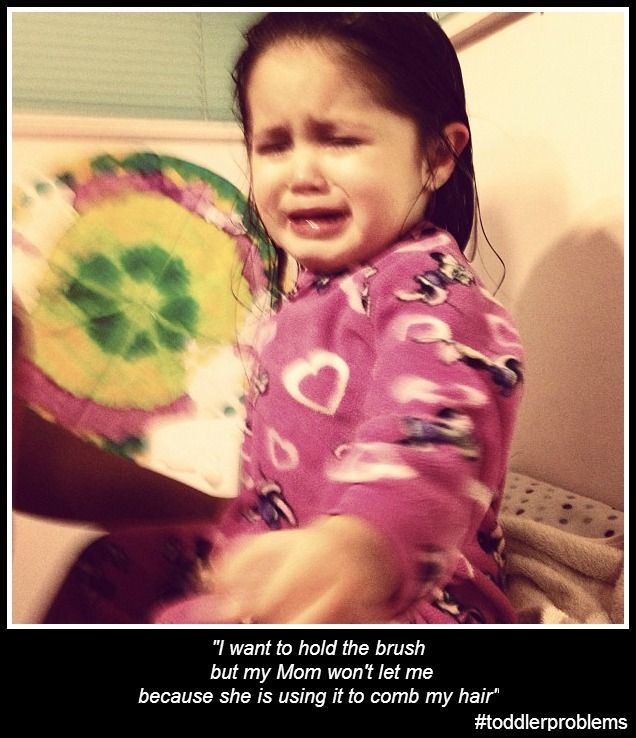 The name stuck and if you follow me on Instagram then you have seen my #toddlerproblems photo series. There has been an unexpected positive outcome from this little project. Whipping out the iPhone can make Louie stop crying. Now if she starts to get worked up over her Dora jacket being in the wash I just have to say, "Do I need to take your picture?". She will immediately stop crying and say "No Mom, No Pishur"
Now I know that I am not the only parent who has kids dealing with #toddlerproblems. Please tell me I am not the only one!?!?! 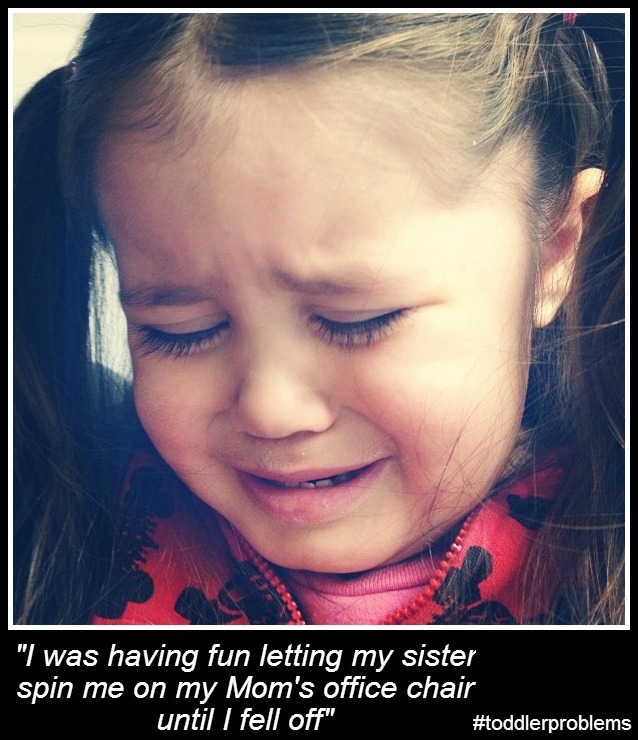 So share with us your #toddlerproblems. If you are on Instagram, come over and follow me.... Punkrockmom.....then show us the things your toddler cries about. 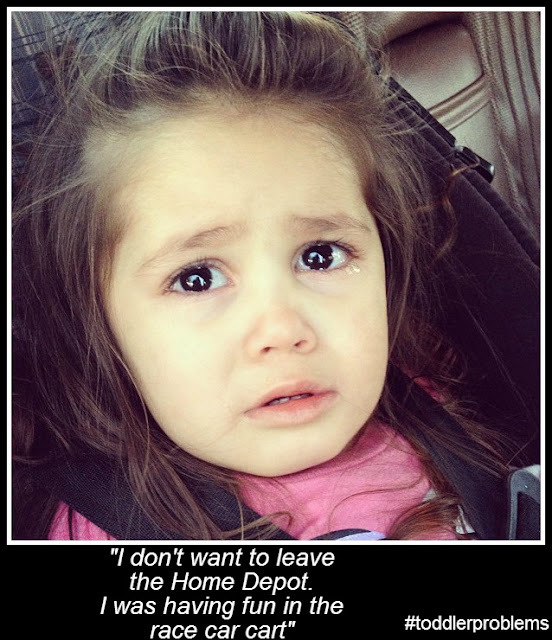 Don't forget to us #toddlerproblems! Such a great post Elissa. I know about #TODDLERPROBLEMS all too well and in a some months there will be two toddlers running around in my home. Pray for me friend! Haha! I have a 12 month old and another turning three in march. I swear they have both turned into drama queens lately with crying over everything. Thanks for sharing Elissa, it's nice to know I'm not the only Momma dealing with a little diva at times. Hahahaha! I love the hashtag #toddlerproblems. I know the feeling all too well. My son will cry about EVERYTHING! Just recently he cried because he accidentally dropped his French fry in his car seat. You would have thought the world had ended the way he was crying. Great post!